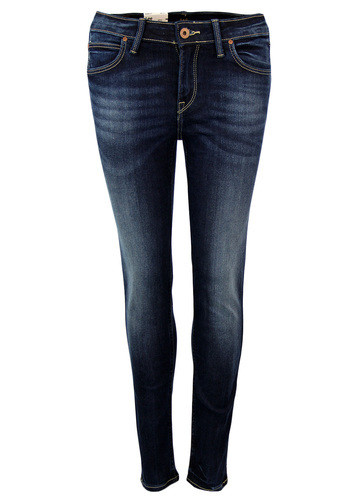 Lee 'Scarlett' classic Retro Skinny Denim Jeans with regular waist and cute ankle length. A classic Mod colour way crafted in stretch washed denim fabric for softness and comfort. 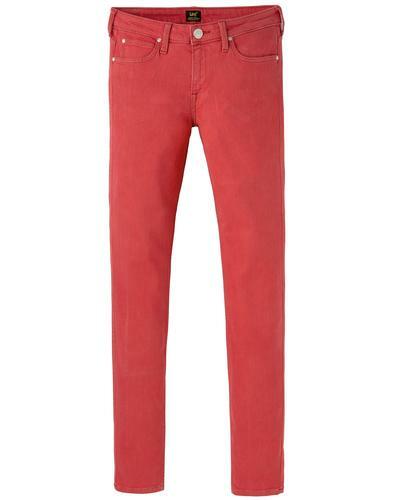 These Lee 'Scarlett' denim jeans are in a fresh, bright summer tone. A truly timeless style that go great with a pair of cool Retro flats and simple blouse or shirt. Fusing cute 1960s Mod style with a contemporary Indie edge. - 'Scarlett' Skinny Jeans by Lee. Lee 'Scarlett' Retro Skinny Denim Jeans in classic Ice Blink White. Lee's iconic Lazy 'S' branding in subtle tonal stitch features on the back pockets. Contrast cream leather Lee twitch logo branding to waistband and Lee woven tab signature to left back pocket. Standard belt loops, coin pocket detailing and tonal stitching. Cool copper look rivets and white button fasten to waistband. Zip fly, pocket plate in gold to the coin pocket. These 5 pocket 'Scarlett' jeans are ideal for a fresh Indie look with flattering rear view and a slick, skinny fit from thigh to ankle. 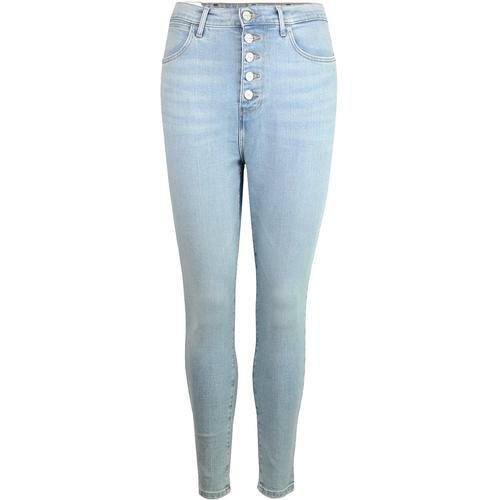 Key Points: Lee 'Scarlett' Skinny Denim Jeans with regular waist. Ankle length. Composition: 91% Cotton, 7.8% Polyester, 1.2% Elastane. Care: Wash separately at 30°. Turn inside out before washing. Be careful washing white! 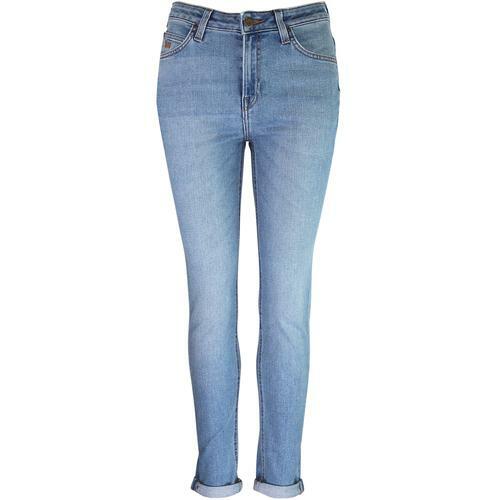 Regular waist skinny jeans with ankle length. Regular leg - 31 inch inside leg.